Marcia's Actual Web Pages. Sort of. Hi. You've found the very tippy top of all the sections of my web page. I'm not sure why you're here, since I direct most people to a subsection, since very few people are interested in all of my areas. But, as long as you're here, sit back, grab a cup of coffee, and I'll give you a list of what's here so far. And if you want to know why this page was missing in action for so long, drop me some email. It's a long, long, LONG story. My animation cels collection. This includes both anime (Japanese animation) and cartoon cels. My doll collection. Mostly pictures of my Japanese fashion dolls, but will expand as time and photographic skill allow. A selection of my varied written works. Lots of words on lots of topics to read. Warning: some may offend those with much offensensitivity. There's an essay on that, too. 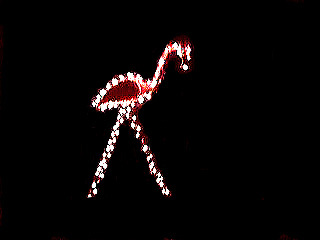 Unfortunately, the light up flamingo that we display as a holiday decoration every year bit the dust this year. Literally. It fell apart. So I had a wonderful, awful idea. (Extra points if you know where that came from.) 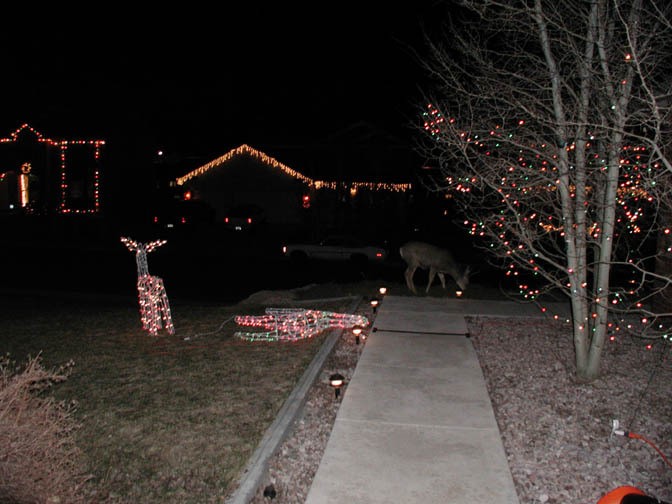 This is the new, ugly, tacky, glorious lawn decoration we put up every year: The Grateful Deer. 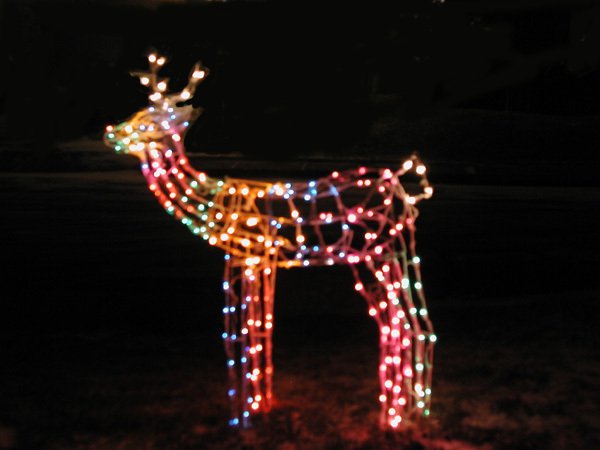 2001: Because tacky ideas are never overdone, we made a companion for our deer: the Grand Old Stag, in an Americana color scheme. And here they are together. 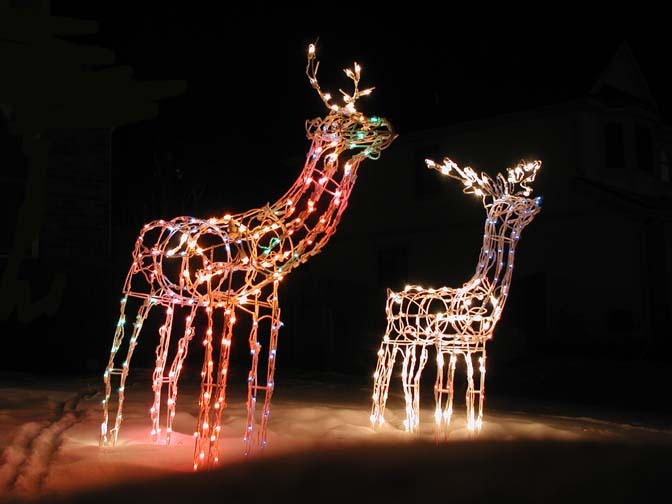 2003: The light up deer and the real deer: here and here. My olympics report and pictures. 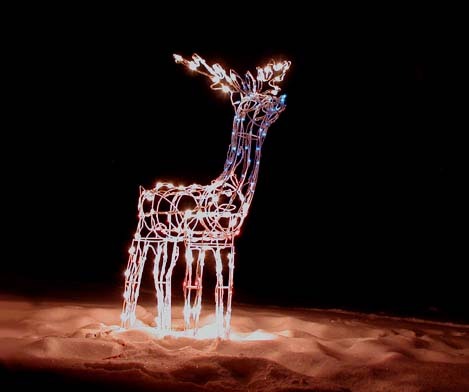 We went to the 2002 Winter Olympics for a few days, and here's what happened. Pictures and descriptions of our meal at Bellagio's Buffet in Las Vegas. An adventure in gastronomy. If you want to know why these pages are all so plain, please see my philosophy of web pages and the web.